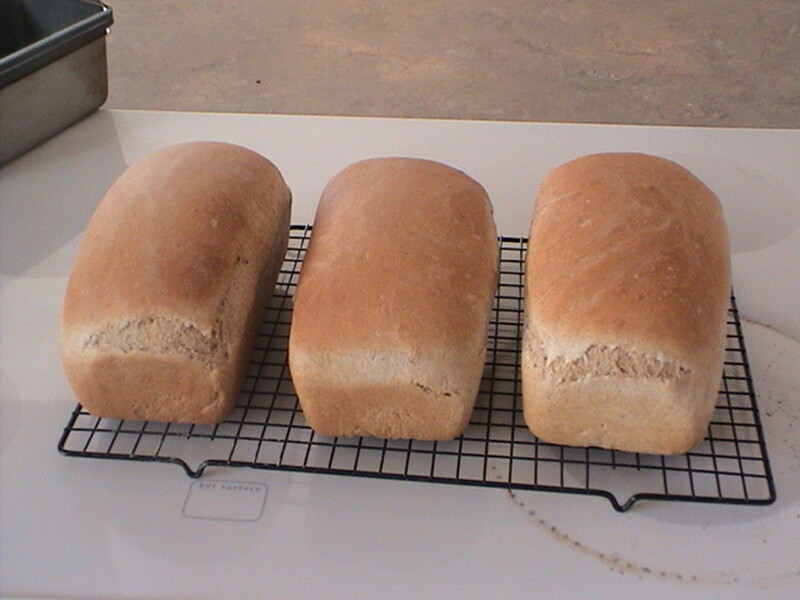 Easiest Bread in the World? I Think So! 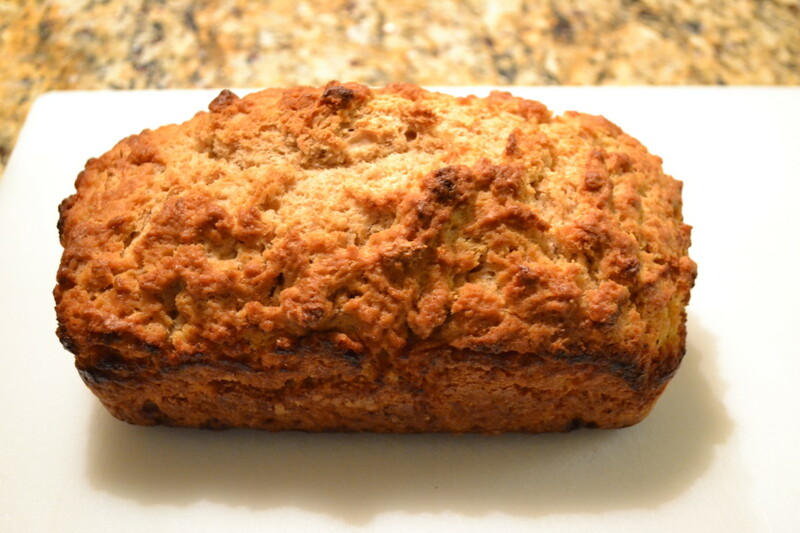 This week I made a fabulous bread - and it was so easy I've become addicted. This recipe is SO versatile you can use it for almost any flavour combination you can think of! It needs no yeast - you've probably already got all the ingredients! You just need a bowl - no bread maker. If you start now, you'll be eating in in just ONE hour! For Vegetarians: Remember, if you cook this savoury bread recipe for a vegetarian, make sure the butter/margarine and the cheese are vegetarian too. Many brands will use animal rennet in their ingredients. OK, so now to turning that list of storecupboard basics into a tasty loaf! Pre-heat your oven to 175°C/350°F/Gas Mark 4. 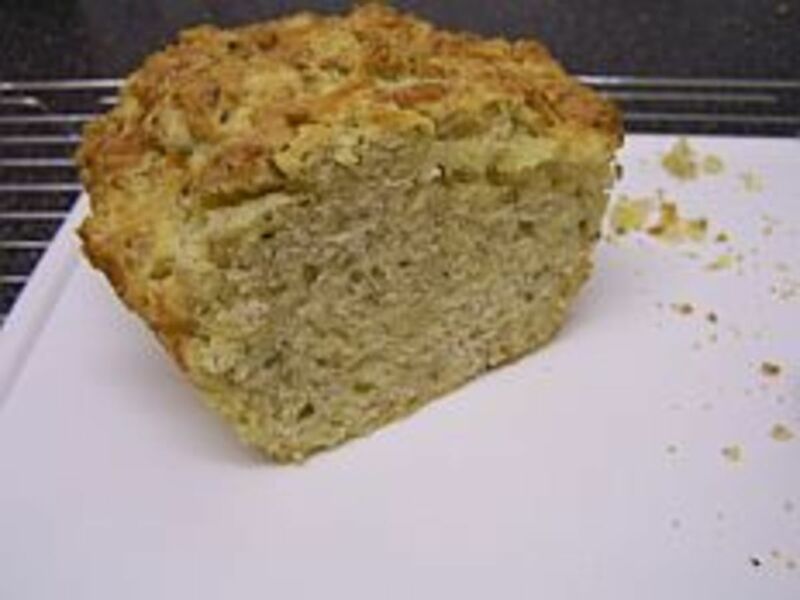 Grease a 1 pound loaf tin - I made this in a standard loaf tin, but you can place it into any dish - if you use a shallow/wider dish then reduce cooking time. Mix all your dry ingredients together in a bowl. Cut up your butter and mix it into the dry ingredients - you can rub the butter in if you like - until it's unnoticeable. Stir in your cheese, onion and herbs. Mix the milk and egg together and pour into the flour mixture. Stir it all together. Pour the whole mix into your loaf tin. Bake for 40-45 minutes in the middle of the oven, or until a knife comes out clean. Remove your loaf from the oven and let it cool in the tin for 10-15 minutes before turning it out onto a wire rack to cool (if you don't do this it might go soggy as the hot steam's trapped inside). Well, I just cut the end off and ate some of it hot! I actually ate the whole cheese loaf on its own in the end. However, for those of you who aren't as greedy as me, you might like to consider how to serve your cheese herb bread! Serve as a side dish to chilli con carne - hot or cold. Take it on a picnic or to a barbecue with you. Use a slice as a base for a quick toasted pizza slice by toasting both sides lightly then topping one side with a tomato base/cheese/onions/peppers/mushrooms ... or any topping of your choice. 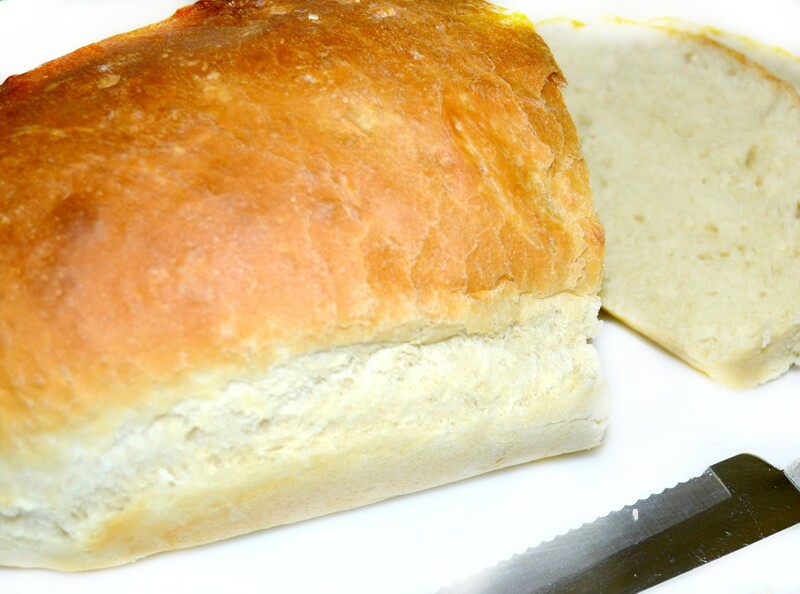 This has to be the quickest and easiest tasty bread ever! A great cheese herb bread with no yeast. The beauty of this no yeast cheese bread recipe is you can play around and try different flavours, here are a few ideas to get you started, but just experiment and see what happens. Bookmark this page and let me know what you tried and what went well! 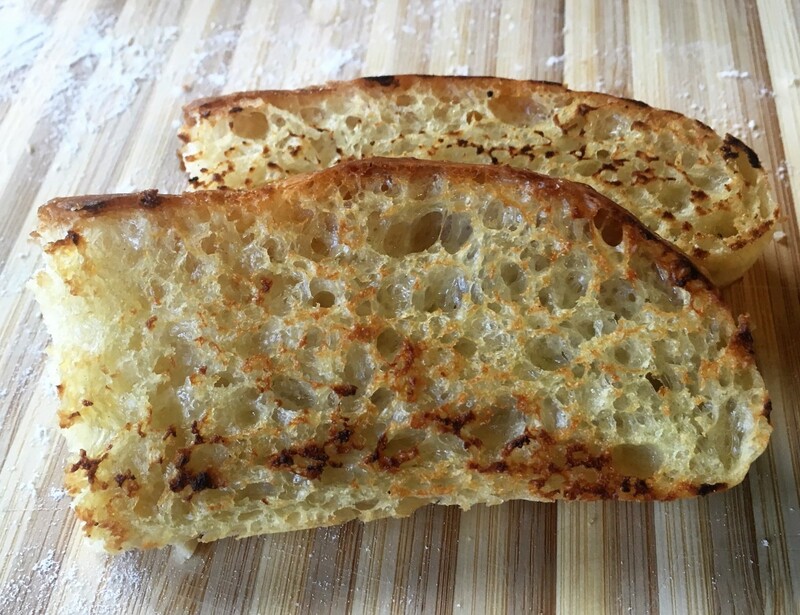 Cheese and Garlic Bread - use garlic powder or 2-3 cloves of garlic crushed/chopped, you can even use 2 heaped teaspoons of chopped garlic from a jar! 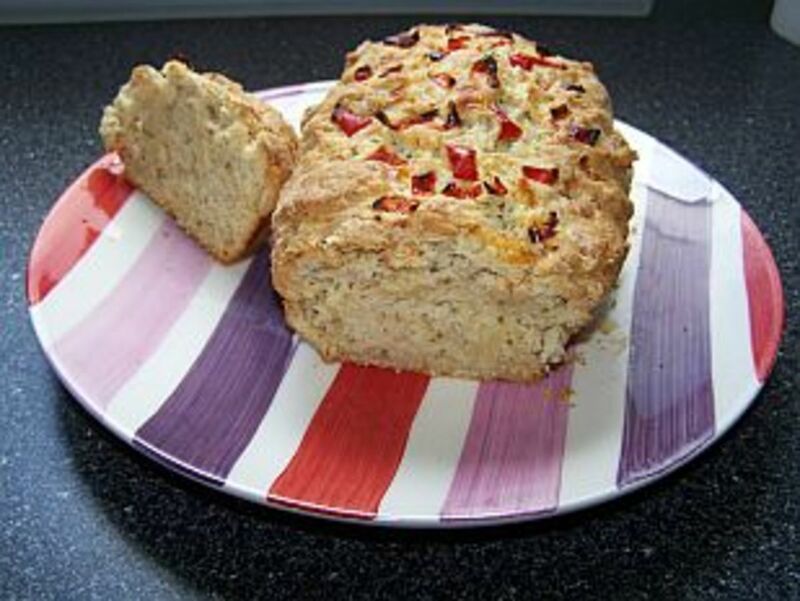 Cheese and Chilli Bread - use fresh chillies cut up small, or even mix in some chilli paste at the last minute. If you smear in small amounts of chilli paste at the last minute then you can even create a loaf that's yellow and red, making it more interesting to look at. If you're using fresh chillies then why not create a line of them down the top of your loaf before baking. Cheese and Rosemary Bread - use 2 tablespoons of rosemary - put most of it in the mix, but how about holding back with a teaspoon of rosemary and simply spreading that over the top before you put your loaf in the oven. 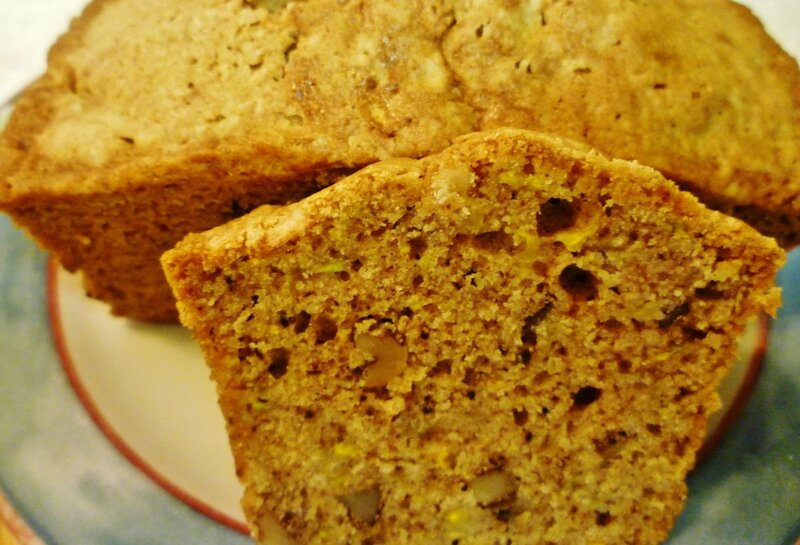 Cheese, Apple and Walnut Bread - use one small apple and ¼ cup of chopped walnuts to create a lovely, unusual bread. This is a weekend must try, habe bookmarked will report back. I tried this recipe it turned out great! 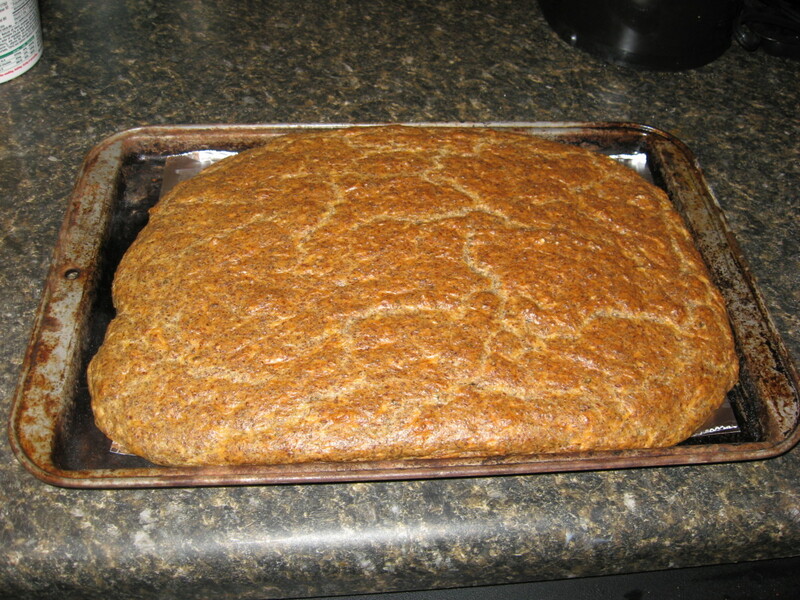 Was a bit doughy in middle after cooking for an h, other than that good stuff! I tried it with fresh herbs and green onions and it was delicious! 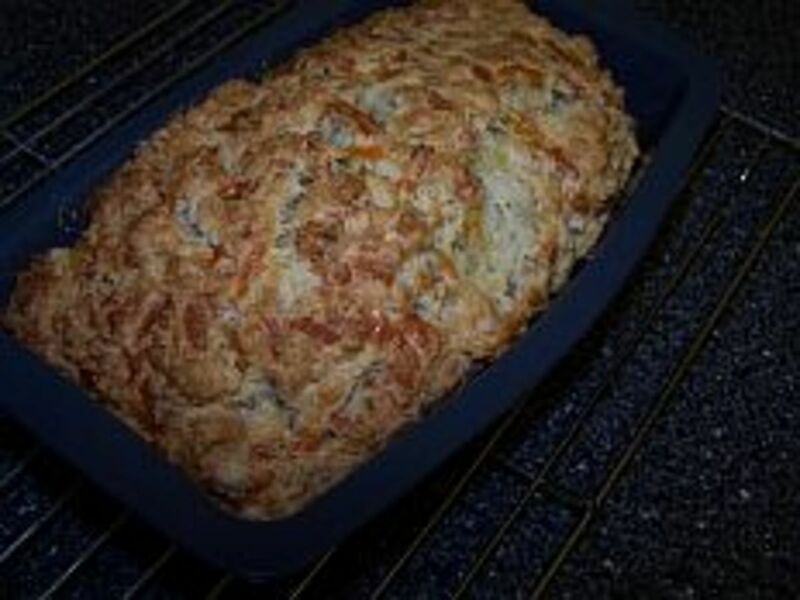 I've just made a cheese loaf topped with fresh red chillies I had in the fridge - so I've added the photo to this article! I served this easy cheese loaf with my chilli con carne recipe. Scrummy! 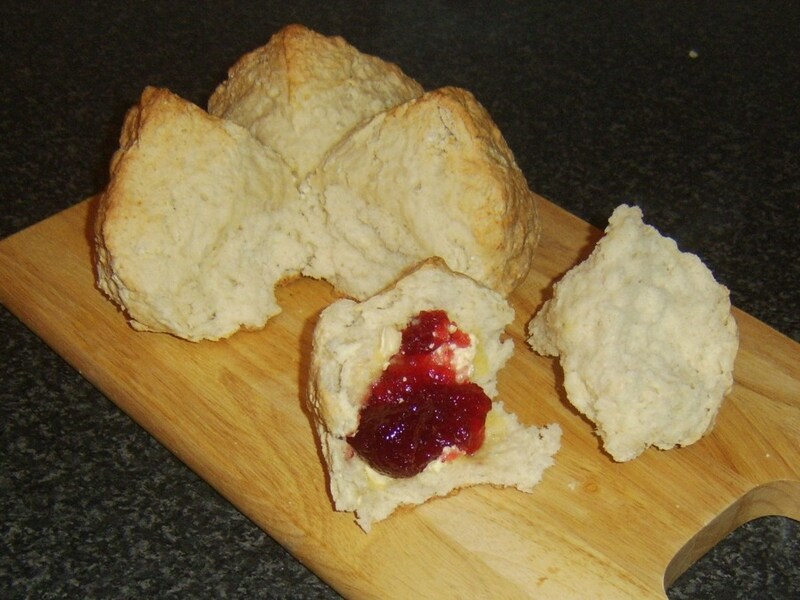 Sounds really yummy, and so much easier and quicker than using yeast. Thanks!